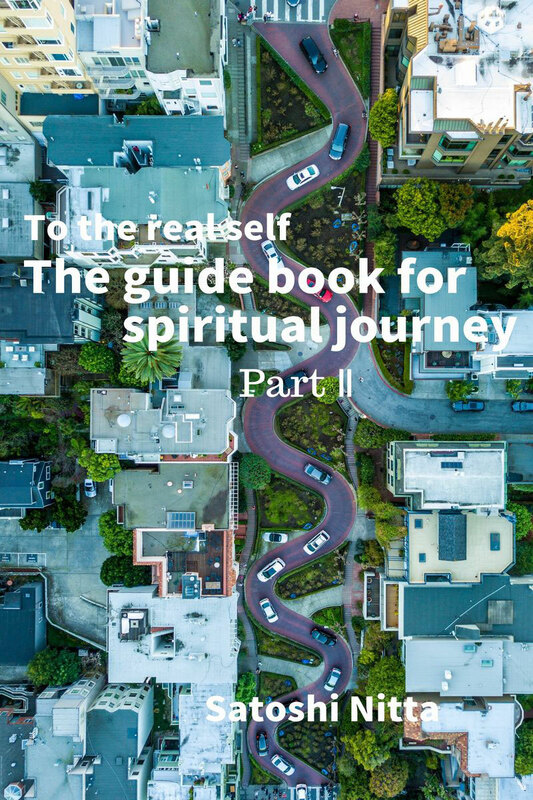 [The guide book for spiritual journey] Part (I) was written over on September 2000 but the draft was closed on May 28 2000 which had been delivered by e-mail to the readers on website since February 12 2000. More than 10 years has passed since then while many kinds of book were written as below. [An Autobiography of god], [Man is Space & God is Time], [Reality within sleep & Dream within Reality], [The Absolute Cosmos (The law of Absolute)], [The road to metaphysical world], [Heartstrings (Death program)], [Daily discourse], [Newly-born idea], [Revolutionary idea], [Ex-intelligent civilized society], [Super-widening gap society], [Even society], [Recommendation of suicide], [Recommendation of poorness], [Recommendation of illness], [Recommendation of unhappiness], [Recommendation of woman], [Recommendation of evil], [Recommendation of fool], [Recommendation of weak], [Recommendation of hell], [Recommendation of individual (slave)], [Purge of god (Recommendation of devil)], [World of zero], [Understanding of death] and back to [Man is Space & God is Time] as well as [An Autobiography of god] from [The theory of beyond]. [The guide book of spiritual journey] shall be rewritten as final stage spontaneously. It is inevitable for me to write [The guide book of spiritual journey] Part (II) about my current idea in remembering 10 years ago. The goal of spiritual journey is to reach “real self”. We human beings had forgotten “real self” at the dawn of civilized human society and found out “false self” since then we have believed in “false self” as self. Discrimination/unfair/wars which are not there in the natural society were forged by “false self” in the human society. Dual structured society of ruler and ruled, and the succession and inheritance discriminatory system which are not there in the natural society were forged by “false self” in the human society. Agony, anxiety and finally fear of death which are not there in the natural society were forged by “false self” in the human society. I shall appreciate very much if [The guide book of spiritual journey] Part (II) can help you to find “real self”. For how long has it passed? Whether we are alive or not must be proved by whether we are breathing or not? What is the mechanism of breathing? The reason why a baby is crying just after he was born is not he is sad but to clarify that he is alive. To die is called to cease breathing. Man is ceasing breathing to clarify that he is dead. Our whole life is to start inhale and to end exhale. This is entirely the proof that our whole life is to start inhale = birth and inhale→exhale→inhale→exhale→inhale→exhale = life and to end exhale = death. Birth is nothing but start motion of heart and brain in order to be born. Life is nothing but continuation of motion of heart and brain in order to live a life. Death is nothing but quit motion of heart and brain in order to die. This is entirely the circular motion because our whole life of birth/life/death is completed by still→motion→still. The round is called circular motion because of the starting point/the circumference/the ending point and the starting point = the ending point. The circular motion of the starting point/the circumference/the ending point and the starting point = the ending point can be said as monism→dualism→trilism. This is entirely the proof that monism is similar but different. Birth is phase of inhale monism and life is phase of exhale→inhale dualism and death is phase of exhale trilism. Birth is phase of stillness monism and life is phase of stillness/motion dualism and death is phase of stillness trilism. Is life phase of motion dualism motion→motion→motion? Is life of exhale→inhale dualism motion→motion→motion? Exhale→inhale→exhale→inhale・・・・・・exhale→inhale has each turning point. Exhale→inhale→exhale→inhale・・・・・・exhale→inhale has each static point. There is no breathing in between motion→(stillness) →motion→(stillness) →motion which is neither inhale no exhale in inhale/exhale dualism. This is entirely the essence of dualism which is absolute monism. This is entirely the essence of dualism which is absolute monism without virtue as well as evil which goes beyond virtue and evil. This is entirely the world of dualism with two aspects of one coin. This is essentially the static starting point for the world of absolute monism of virtue and evil but the circumference is needed to draw a round which means the relative dualism of virtue and evil is needed. Why the relative dualism of virtue and evil is needed is because so that we can reach the world of beyond, the static ending point which is trilism of virtue and evil in final. This is essentially the static starting point for the world of absolute monism of breath for inhale and breath for exhale but the circumference is needed to draw a round which means the relative dualism of breath for inhale and breath for exhale is needed. Why the relative dualism of breath for inhale and breath for exhale is needed is because so that we can reach the world of beyond, the static ending point which is trilism of breath for inhale and breath for exhale in final. We must reach the states of no breathing. The world of beyond, the static ending point which is trilism of breath for inhale and breath for exhale in final is nothing but the turning point of exhale→inhale・・・・・・exhale→inhale. The world of beyond, the static ending point which is trilism of breath for inhale and breath for exhale in final is nothing but the static point of exhale→inhale・・・・・・exhale→inhale. There is no breathing point in between exhale→inhale・・・・・・exhale→inhale. There is “real self” in the states of no breathing. We are not allowed to move ahead or follow behind but be with breathing at “now & here” which is the absolute condition. Musashi Miyamoto fought by oar against longest sword by Kojiro Sasaki. The weight of oar is three times heavy even than the longest sword. Who ought to be a winner was very clear before fight. It was reported Musashi was very dirty. It was reported Musashi was delayed with malice. It was fight for Musashi & was match for Kojiro. It was something like boxing fight among fly weight class and heavy weight. The reason why a baby is crying just after he was born is not he is sad but to clarify that he is alive was mentioned at Chapter 1. A baby who has been in the womb of mother for 270 days did not have to make breath because he is totally with mother. He has to make breath after he was born of mother because he has become independent from mother. This is entirely the fact that a baby start to cry at the first stage. He has to live his life independently from the independent day when he was born of mother. Not only men but all other creations on the earth must live totally with the earth. It is because he is a part of the earth. It is because he has total feeling with the earth. It is because he has to go back to the earth finally. This is entirely the proof that breath is the bridge to join the earth and his life is kept by breath. Life is nothing but breath. Let’s remember Chapter 1 that whether we are alive or not must be proved by whether we are breathing or not. It is nothing but to die for him not to make breath. Does “real self” whom we have forgotten die? “False self” who was born in place of “real self” shall die. The one who is thinking is “false self” and the one who is just being is “real self”. The one who is thinking of “I am” is “false self” and the one who is not thinking of “I am” is “real self”. Automobile has transmission gear which transmits driving force of engine to wheel. The transmission gear has neutral gear which is the states of no gear. Transmitting not only from the first gear to the second gear but from the second gear to third gear must be surely through the neutral gear. Transmitting not only from the third gear to the second gear but from the second gear to first gear must be surely through the neutral gear. The neutral gear is nothing but the turning point of exhale→inhale・・・・・・exhale→inhale. The neutral gear is nothing but the static point of exhale→inhale・・・・・・exhale→inhale. The neutral gear is nothing but no breathing point in between exhale→inhale・・・・・・exhale→inhale. Inhale breath and exhale breath are not different but two aspects of one coin. It is the turning point between inhale breathing and exhale breathing to wake us up. Inhale breathing = exhale breathing which means life = death. We human beings have misunderstood that inhale breathing and exhale breathing are quite different which means life and death are quite different. We human beings have got rid of death as evil. Breathing teaches us that we can not get rid of death. Breathing is also culprit to produce “false self” which is ego. Breathing is double edged sword which makes us aware of “real self” as well as to make “false self”. Colleagues of Team Lotus competes each other at Indy. 500. Accelerator and brake pedal are controlled by one right foot. Left foot at lightning speed is pushing by double clutch. Starting cross-flag was turned down. Their murderous eyes are at pinnacle. “Flying Scot” leads away from others than beard gentleman. A cool beard gentleman attacked the blind spot. The sound of crash blast at the moment. It was not Indianapolis but Hockenheim. Both of them said good bye each other at the moment. Double clutch method must be used in case of transmitting the tremendous amount of torque from engine to wheel. Transmitting not only from the first gear to the second gear but from the second gear to third gear must be stopped in the neutral gear to let in and out the clutch which is called double clutch. Transmitting not only from the third gear to the second gear but from the second gear to first gear must be stopped in the neutral gear to let in and out the clutch which is called double clutch. It is because the engine revolution is tremendously high. The faster the engine revolution is the more often double clutch is needed in the neutral gear. Remaining time in the neutral gear is just passing moment. Remaining time in the neutral gear is a certain amount of time. The chance to be aware of “real self” is just a moment. The chance to be aware of “real self” is a certain amount of time. The slower the breathing is the less chance to be aware of “real self” becomes. I am now doing English conversation gym in Japan so that the foreign peoples can speak English like native speaker. The most important training is to make students to speak English as faster as possible. The faster he speaks the more “real self” is needed. He must speak entirely without associated mind at “now & here”. The most important training is to make students to concentrate speaking the current sentence at “now & here” but not to think of previous sentence or afterward sentence. He has forgotten the current sentence at “now & here”. His training has become useless. He must be at “now & here” at any time. He shall have been with the afterward sentence when he will be at “then & there”. He has to be with the current sentence when he is at “now & here”. He shall have been with the afterward exhale breath when he will be at “then & there”. He has to be at the turning point in between inhale breath and exhale breath when he is at “now & here”. Native speaker is always with the current sentence at “now & here”. Foreign speaker is always with the previous sentence or the afterward sentence at “then & there” not only in case of speaking English but also other languages. Foreign speaker must always be with the current sentence at “now & here” so that he can be like native speaker. The method of double clutch is very useful. This is as same case as automobile to use double clutch in the neutral gear. The faster the automobile runs the more static in the neutral gear. The faster the man speaks the more the man static in the neutral gear. The faster the breath is the more static in the neutral gear. The faster the automobile runs the more static in the neutral gear in between the first gear and the second gear. The faster the man speaks the more static at the current sentence at “now & here” in between the previous sentence at “then & there” and the afterward sentence at “then & there”. The faster the breath is the more static at the turning point in between inhale breath and exhale breath. Double clutch is very useful for it so that you can be aware of “real self”. Who are you come on me? The wheel of automobile has its own hub in which the center is empty. It is as same as the center of typhoon in which the center is also empty. Why is the center empty? The neutral gear of mission gears is nothing but the hub. There is surely the periphery around the hub. The first and the second and the third gear are the periphery. The area of storm in the typhoon is the periphery. Tire and spokes of the wheel is the periphery. Inhale breath and exhale breath is the periphery. The turning point in between inhale breath→the turning point→exhale breath is the hub. Our human body has also the hub and the periphery. The flesh body is the periphery. Where is our hub in our body? It is nothing but the breath which is a bridge in between the hub and the periphery in our body. Where does the inhale breath go to? It goes to the hub in our body. Where does the exhale breath come from? It comes from the hub in our body. This is entirely the fact that our vital energy is in the hub of our body. This is entirely the fact that “real self” is in the hub of our body. The turning point in between inhale breath→the turning point→exhale breath. There is no conscious of “I am” in the hub of our body. This is entirely the reason why we have believed in our flesh body as self. Our flesh body which we have believed in as self is nothing but the periphery of our body and we don’t know where the hub of our body is. Zen Buddhism of Japan is aiming to find the hub of human body. Zen Buddhism of Japan is aiming to find “real self”. A monk tried to be discipline of one master to gain enlightenment. He had been always cleaning the garden of temple for 3 years since he joined with the master. He became impatient at last to continue daily work and to ask for the master to forward to the next step. The master was listening to the man very carefully and beat at his cheek. The disciple got angry with red face. The master said very calmly. I have been taking place the workshop named “The Heisei Seminar” for the past 10 years but unfortunately the numbers of member never increase because most of them are giving up the workshop. The cause is due to me on account for that I am irritating them. I have always thought of such things like above. This is entirely their feeling as same as the discipline who was beaten by the master all of sudden. “Real self” is in the turning point in between inhale breath and exhale breath. “Real self” is in the pause in between inhale breath and exhale breath. Inhale breath and exhale breath are two aspects of one coin, inhale breath = exhale breath which are not different. There is no difference between dream and reality. Dream is a part of reality and reality is also a part of dream. We have believed that it is reality when we are dreaming and we have also believed that it is reality when we are waking up. To believe that it is reality is nothing but misunderstanding. To be aware that it is dream is nothing but enlightenment. We human beings have misunderstood 24 hours a day and 7 days a week that it is reality even though we have been experiencing every day that it was dream when we wake up. We have lived a life with fear of death. We have never found out other animals in the natural society with lack of learning ability than human beings in the human society. It is reason why all the creations in the human society including pet animals can not perform their potentiality by 100 %. It is the reason why other pet animals in the human society have become as same ill as we human beings because all of them can not perform their potentiality by 100 %. The meaning of potentiality is to perform potentiality by 100 % and the meaning of ill is not to perform potentiality by 100 %. There are no natural animals which can perform their potentiality by 100 % and become ill.
How do all the creations in the human society perform their potentiality by 100 %? The answer to the question is not to see dream. The answer to the question is to be aware that it is dream. We will be able not to see dream if we can be aware that everything happening in the world are dreams. We will be able to perform our potentiality by 100 %. All creations in the natural society which can perform their potentiality by 100 % never see dream. We will be able not to see dream if we can be aware that it is dream. Where and how do all the creations in the human society see dream? They see so called reality by two eyes. Do all the creations in the human society see dream by two eyes? Let’s close your two eyes. You must have seen something white light in the place between two eyebrows. This is entirely the white screen in the movie theatre. Motion picture is projected in the white screen. This is the stage of dream, a white screen between tow eyebrows. This is so called the third eye. Concentrate the white screen on the third eye which is appearing when you close your two eyes and you can witness the gap of breath of inhale and exhale and objective form of breath can be seen on the white screen in the third eye. What is objective form of breath? The breath as air is just vehicle and the breath as contents is in the container of vehicle. Vital energy is loaded in the container of inhale breath which is to be delivered through lung and the empty container is to be exhaled. You can see the scene on the white screen in the third eye. The turning point in between inhale breath→the turning point→exhale breath is recognized by the third eye. “Real self” is recognized by the third eye. The most important thing is how to concentrate on the third eye. Who is witnessing the dream? It is needless to say “real self”. Who is playing at the dream? It might be “false self” because you are not playing at the dream. This is very important to be understood. The one who is seeing the dream is self as an observer. The one who is seeing the dream is self as a witness. There is no one who is playing at the dream. You can understand that the one who is seeing the dream is “real self”. This is entirely the proof that the witness is nothing but “real self”. The self who is witnessing is “real self”. We can recognize “real self” who is witnessing the form of breath projected on the white screen in the third eye. The form of turning point in between inhale breath→the turning point→exhale breath is to be projected on the white screen in the third eye. “Real self” is actualized in the third eye. “False self” is actualized into “real self” in reality. Chapter 70 Dizzy/Be aware Japanese! Chapter 79 Who am I?/Who is “I am”? Chapter 81 Feeling and touching/How to speak English natively? Chapter 82 El Condor Pasa/What do you want be free from? Chapter 98 You are standing remain in the same/Now get into transformation! Is morning glow of man coming again? Is man coming back to the original cave? Only we human society has the dual structure of ruler and ruled with succession and inheritance discriminatory system and repeating discrimination/unfair/wars and has to live a life with anxious, agony and finally fear of death. The world of dichotomy (relative monism of utilitarianism in strictly saying) is the world of binary number. The world of binary number is the world of 0 and 1. The world of binary number is not the world of 1 and 2. Computer would not have been born if the world of binary number is the world of 1 and 2. It means the difference between "real world of dichotomy" and "false world of dichotomy"
It means the difference between "real self" and "false self"
Number of 2 is larger than number of 1 if the world of binary number is the world of 1 and 2. "Like (2) is virtue and dislike (1) is evil"
"Right (2) is virtue and wrong (1) is evil"
"Male (2) is virtue and female (1) is evil"
"Happy (2) is virtue and unhappy (1) is evil"
"Rich (2) is virtue and poor (1) is evil"
"Healthy (2) is virtue and ill (1) is evil"
"Heaven (2) is virtue and hell (1) is evil"
"God (2) is virtue and devil (1) is evil"
"Ruler (2) is virtue and ruled (1) is evil"
"Life (2) is virtue and death (1) is evil"
This is entirely my philosophy called relative monism of utilitarianism. Number of 1 is not larger than number of 0 or vice versa if the world of binary number is the world of 0 and 1. "We cannot ever say that like (2) is virtue and dislike (1) is evil"
We can neither ever say like (1) nor dislike. We must go beyond like (1) and dislike (0). This is entirely the real meanings of dichotomy. We must go beyond right (1) and wrong (0). We must go beyond male (1) and female (0). We must go beyond happy (1) and unhappy (0). We must go beyond rich (1) and poor (0). We must go beyond healthy (1) and ill (0). We must go beyond heaven (1) and hell (0). We must go beyond god (1) and devil (0). We must go beyond ruler (1) and ruled (0). We must go beyond life (1) and death (0). This is entirely the idea of real dichotomy. "Dislke (0) is substantial and like (1) is just absent concept of dislike (0)"
"Wrong (0) is substantial and right (1) is just absent concept of wrong (0)"
"Female (0) is substantial and male (1) is just absent concept of wrong (0)"
"Unhappy (0) is substantial and happy (1) is just absent concept of unhappy (0)"
"Poor (0) is substantial and rich (1) is just absent concept of poor (0)"
"Ill (0) is substantial and healthy (1) is just absent concept of ill (0)"
"Hell (0) is substantial and heaven (1) is just absent concept of hell (0)"
"Devil (0) is substantial and god (1) is just absent concept of devil (0)"
"Ruled (0) is substantial and ruler (1) is just absent concept of devil (0)"
"Death (0) is substantial and life (1) is just absent concept of death (0)"
The number of zero (0) is substantial and the number of one (1) is just absent concept. chapter 111 space/science is dead! Chapter 111 Science is dead! Our universe has 13.7 billion light-year space 13.7 billions years ago since Big-bang which was the condition of infinite density, the smallest solid of infinite small volume and infinite heaviest weight and it is still expanding. The infinite smallest static universe 13.7 billions years ago is still expanding motion universe even now with its size of 13.7 billions X 365 days X 24 hours X 60 minutes X 60 seconds X 300,000 Km/second round space. Our universe is accordingly applicable to physics. Isac Newton built the modern physics and Albert Einstein had completed by the theory of relativity. Our universe is not three-dimensional space but four-dimensional time & space which has the relativity between space and time. Time was thought as absolute factor since then but should be thought as relative factor from that time and time can be expanded or shrinked by the relativity with space. That was why the velocity of light is maximum. This is the core of the special and general theory of relativity which is the pinnacle of modern science. That is entirely the reason why Albert Einstein was called "The man of (21st) century". Some scientists were going to build up the new institution called the quantum physics to research the micro universe in the same age. They searched more complicated matters than the molecular compound like H2O of water which was consisted of two hydrogen and one oxygen which are atoms and proton and neutron and quark and super strings something like that to ultimately into the invisible black matter. Science arguing only about motion physics seems to reach the dead end. It is because science arguing only about motion world can say only visible imaginary world but not solve about substance. It was said that Big-bang was really true story. They claim it is enough to argue only about motion world. They claim it is not necessary to argue about static world. It is because the static world cannot be applied by the modern physics. This is entirely the physics world of Newton and Einstein who had believed that our universe was the static universe but Edwin Hubble discovered by his astronomical telescope in 1929 that our universe was expanding. Einstein reclaimed that the static universe was in hand by god. It was reported to have said that our universe had not been three-dimensional space but four-dimensional time & space. Space is mentioned as somewhere place as well as universe. Uncertainty principle which is said as the pinnacle of quantum physics was reported to have said that no certain things in the motion world. Everything stops moving when dying. Motion is only in case of aliveness. The age of individual is coming in the21st century. We must have each personal view of world for the forthcoming age. Friedrich Nietzsche claimed around 100 years ago that "god is dead". It is coming to be said after 100 years since then that "science is dead"
Stephen Hawking announced officially this year (2011) that there is no world after death just as same meaning as "god is dead" by Nietzsche. It is indeed symbolic phenomenon for the21st century, isn't it? Who knows what the after tomorrow will bring? Human baby and children and all creations in the natural society have nothing to do with the dual structure of ruler and ruled with succession and inheritance discriminatory system and repeating discrimination/unfair/wars and has to live a life with anxious, agony and finally fear of death. What is crucial difference between human adult and human baby/child/natural creations? Whether to have thinking power, intelligence. The one who knows about death has intelligence and the one who doesn't know about death has no intelligence. Why could we human adults have intelligence? Why could we human adults have known about death? “Man is a thinking reed” was uttered by Blaise Pascal who was French philosopher. Although Adam & Eve who were the ancestor of mankind had been expelled from the Garden of Eden but it was just symbolical story in the Old Testament and as a matter of fact story was that only mankind could gain the power of thinking among all creations on the earth. This is entirely the reason why mankind could stand at the pinnacle of all among creations on the earth because they could gain the power of thinking. Mankind could be successful to stand at the pinnacle of all creations on the earth because of gaining the power of thinking, intelligence. Why had only mankind gained the power of thinking, intelligence? Because they moved from four-leg life style into two-leg life style. Mankind had evolved from apes 5 millions years ago. It was 5 millions years ago when apes (monkey) evolved into Australopithecine. They were walking by four legs at that time and 4.5 millions years later which was 500,000 years ago they changed into two legs walking completely. It was the birth of primitive man called Homo-erectus. They had the chance to gain the power of thinking at that time. It was just symbolic story that Adam & Eve were born AM 9 October 23 BC 4004 stated in the Old Testament but the true story was about 500,000 years ago. Why could they get the power of thinking, intelligence by moving from four-leg life style into two-leg life style? To gain the power of thinking, intelligence is nothing but to have higher brain capability which was the development of brain. How did their brain developed? Not only us but also primate such as chimpanzee and gorilla have new-cerebral cortex which was not possessed by other mammal animals. New-cerebral cortex is the original source of power of thinking, intelligence. New-cerebral cortex gave us the power of thinking, intelligence. Why could mankind and primate get power of thinking, intelligence? It was because they changed from four-leg life style into two-leg life style. This is entirely proof that chimpanzee and gorilla are walking by two legs. How was new cerebral cortex born of changing walking by four-leg into two-leg? It is paradoxical proof that other mammal animals which have not the power of thinking, intelligence have only old cerebral cortex. The height of head (brain) with four-leg life style becomes higher relatively than with two-leg life style. The meaning of our weight such as 60 kg is that we are influenced 60 kg gravity power by the earth. This is entirely the proof that the lighter our weight becomes the more power of our thinking becomes. This is entirely the proof that we can get the highest power of thinking, intelligence if our weight becomes zero. We can change our life style with hard life time into with easy life time. How can our weight become zero? To die can become our weight zero. Our weight becomes zero if we die. To be enlightened is to become our weight zero. To be enlightened when we are alive! We fall into sleep on the bed by imaging that our weight becomes zero every night. You will not dream because “false self” who dreams can not be in your body with weightless. Body with weightless is not matter. Why do we lay down our body when we go to sleep on the bed? It is because the power of brain becomes lower by laid down on the bed on account of increasing of the gravity. Our enlightenment is in our hand every night. The ability to know about death is nothing but thinking power (intelligence). The ability to know about own death by knowing about other's death is nothing but thinking power (intelligence). All other animals can see other's death but they cannot reason about own death because of no thinking power (intelligence). Thinking power (intelligence) is nothing but the capability to make division between self and others. This is entirely the birth of dichotomy about life and death. This is deeply related to gravity of the earth. Subtle balance of gravity of the earth gave the birth of intelligent organ of human being. I have been insisting that there is no other star than the very unique earth among more than trillions stars. Science must not seek for other intelligent organ among the vast universe but seek for the subtle balance earth. Space discovery is no good and much harm. It is because we human beings are part of the earth and it is impossible for us to be apart away from the earth. To be able obtain the secret technique for death in life. To make own weight zero is the goal for spiritual journey. This is entirely the reason of philosophy of zero. The second spiritual journey is ended. This is indeed something like junior high school excursion. There will be no memory left because of tourism yet. The next journey will be something like high school excursion. There will surely be memory left because of individual journey a little bit allowed to make choice in case of high school student. The memory shall be more strengthened due to more individual journey. It shall be complete individual journey in case of university excursion. The freer you are the more responsibility you must have but the journey shall be more fun. You have to face more practical journey when you become matured but it shall be more fun but more tension. The journey shall be transformed into more practical looking forward to the future. This is the hardest journey in life but shall be more fun by overcoming. You will have to make such spiritual journey at least more than 7 times. Do not hurry but make as slow as you can. Let me remind you that you are making action one by one among these 112 techniques. Your spiritual journey shall surely be over someday. Please be aware of the guide book of spiritual journey until then.